affliction for one so old. more than weakness and perhaps occasional nausea. travelled to the Vets on that morning. 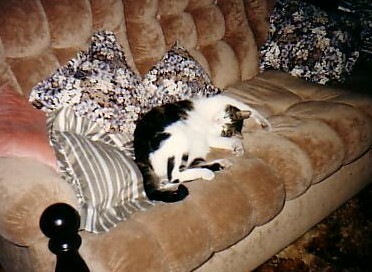 He enjoyed an incredibly healthy life - having no problems whatsoever during his almost 18 years with us. 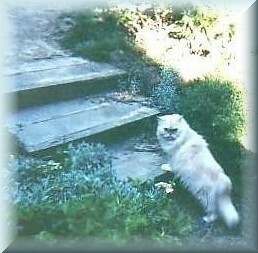 He was elegant and regal, of perfect behaviour and manners, and was a most loving and obedient companion. We miss him very very much. 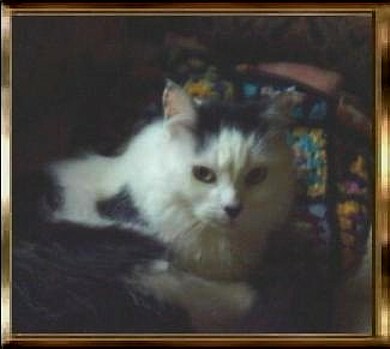 VALE TO OUR WONDERFUL FRIEND "MONTY"
In March 2011, we lost our precious little cat "Oscar" to a rapidly growing cancer. 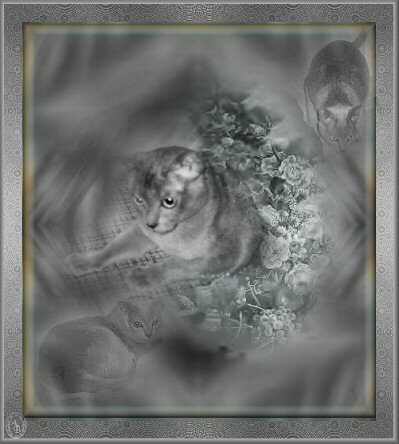 It was in an inoperable place, so before it began to encroach in any way on his throat we helped him cross the Rainbow Bridge. He was THE sweetest little soul, was so gentle, but at the same time - he could put all dogs and other cats in their place. He did this with dignity, perseverance and gentleness. 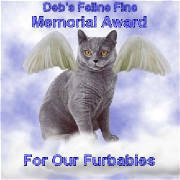 Along with all our other beautiful pets that have left us, he is missed greatly, but is at peace - having been laid to rest in our own memorial garden. 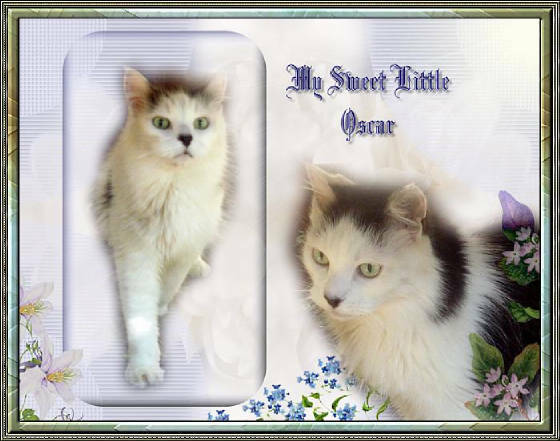 Oscar was such a sweet gentle soul. And oh how much we miss him. of two brothers - they arrived as 12 week old kittens. still there. He is no longer there. He is so lovingly remembered and sadly missed. 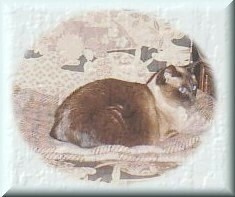 Ming was a Seal Point Siamese - and her registered name was JOKAI MING SOO. 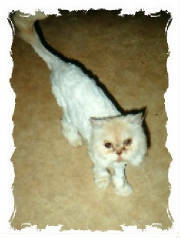 She was mated with a Lilac Point male when she was 15 months old. She produced, after much protest and lack of interest, a litter of kittens from which only two survived. One of those two was Tiffany. They were inseparable. Quiet of nature, friendly in disposition, and fairly rowdy at times, they both lived to 17 years of age when they died. 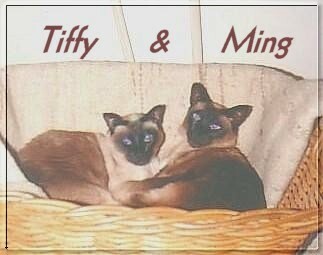 Ming was the first to leave and 12 months later, almost to the day, Tiffy followed. I have many memories of Ming, but I think the best was her total dislike and disdain when I sang. ( Hey I wasn't THAT bad !! ) I was part of an Amateur/Professional musical theatre group , in the chorus, for quite a few years of Ming's life, and having to learn my music, I of course practiced as much as I could which brought about some extraordinary reactions from Ming. First she would yowl - long and loud and rise in 'voice' (others thought she was joining in), and then when it was all too much, she would bite me on the leg (not hard but she hung on), until I stopped my singing. This became a bit of a party trick, but it sure interfered with my practice. !! Tiffy or Tiffany's registered name was RANSETSU TIFFANY JANE. 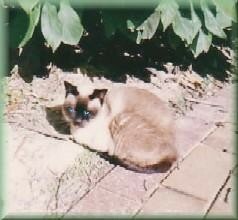 She was one of two of the only litter Ming had. Ming had not been a 'good' mother to begin with, and had to have hormone injections to make her feed her two offspring. 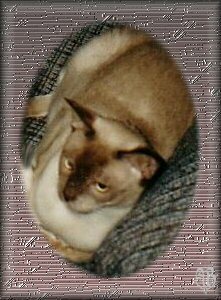 The injections worked like a charm and Tiffy grew to be a lovely Seal Point Siamese - her sister was more the Lilac colour of the sire. Although Ransetsu was my own breeding owner's registered prefix, I decided after the trouble Ming had, that she'd be neutered, and was rather sorry I had sold the dear little sister. Tiffy was not as boisterous and vocal as Ming. She was very much the subservient of the two, having to deal with Ming's occasional loss of temper with her. Mind you, I think Tiffy deserved some of the hand outs she got. 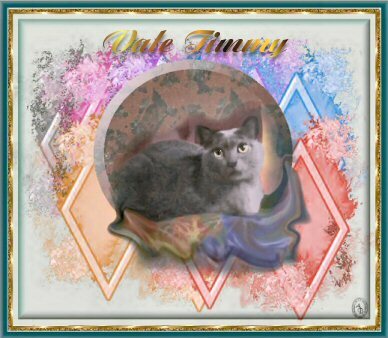 They both were the sweetest cats to me though and lived long and happy lives and accepted all other cats and dogs that came after them. 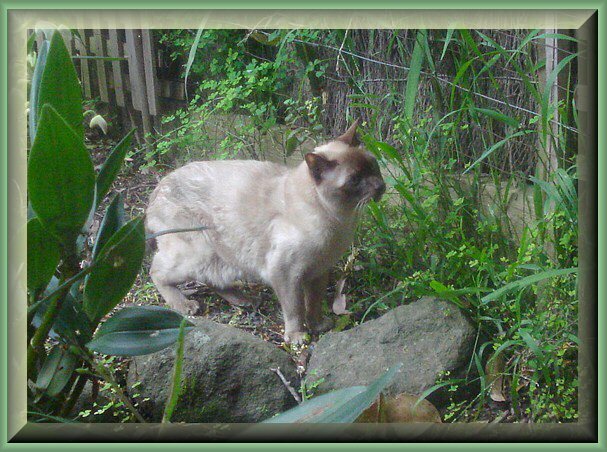 Many people are unfortunately afraid of the Siamese Cat. loving and loyal - and very good watch cats as well. did this at night !! of 1979, but that was the only time they were shown. a Third Ribbon, so that was enough. I miss them to this day. 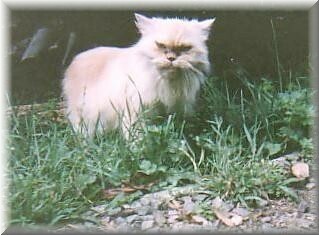 Gussie was an absolute character of a cat - one had to 'know how to handle him' otherwise a bite or three would be inflicted. Boy could he bite - and hang on too. 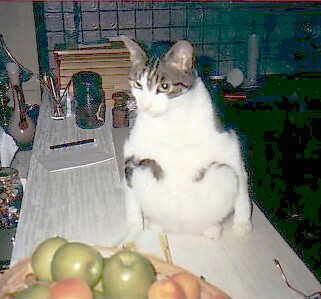 But he was - to me, the sweetest cat I have had. Probably because of his 'ornary' temperament, and his funny ways, he was kind of special. We lost him 4 years ago to cancer. But his memory is ever with us, and I sometimes think he is too ?? I have a story about Gussie on another page. I could write many stories about our dear old Gus. bowing to a bottle of beer before. Another favourite position on the right. in the Australian summer heat. I promised a "Plum of the Foul Look" photo. And here it is. Wonder what she was thinking ?